A few weeks ago, I’ve stumble upon this calendar that has all sorts of weird unofficial holidays. I thought it would be pretty fun to be able to do a couple of these “un”National Holidays! Since having three major surgeries and being in and out of the hospital in the course of two years, I’ve collected a handful of drugs! Good ones I might add! You can read it here how addictive they can be. Since today is National Drug Take-Back Day, I decided to take back all of my unused drugs, clearly I wasn’t using any of them and if need be I can always get them again. 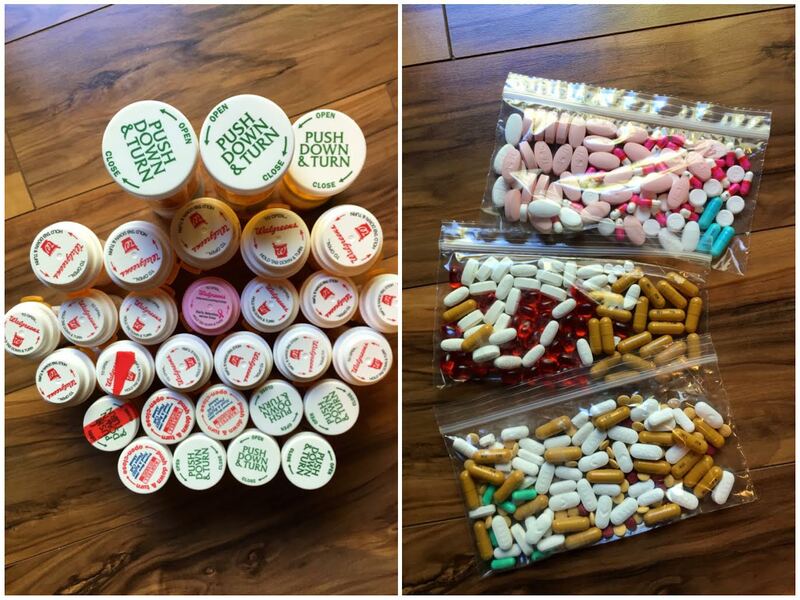 I could have given the pill bottles back too, but instead I decided to reuse&recycle them. 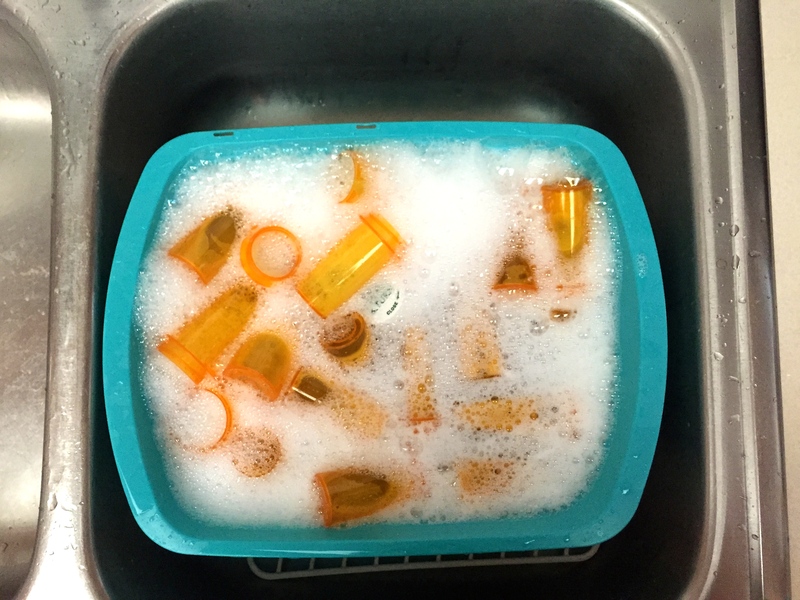 Before reusing the pill bottles, make sure to clean them! 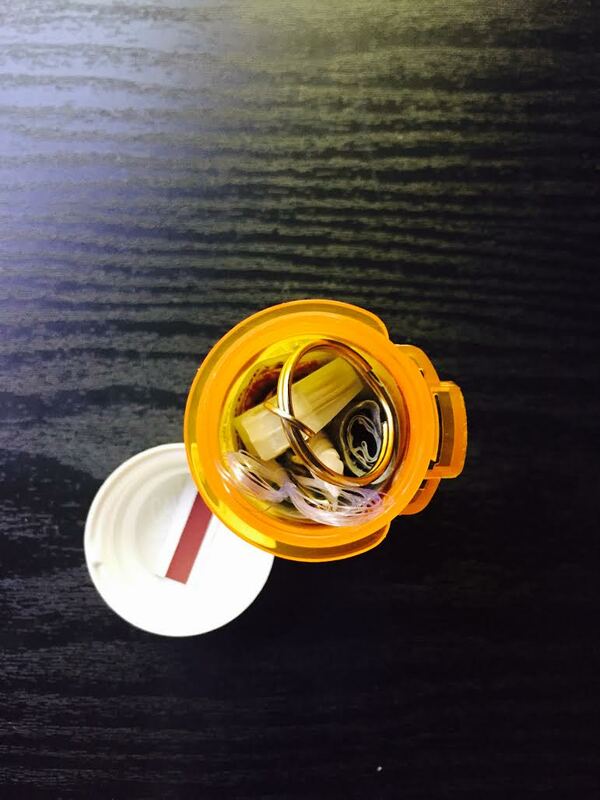 There are endless possibilities of what you can use an empty pill bottles for – ear bud holder, miniature portable sewing kit case, or even a condiment container. 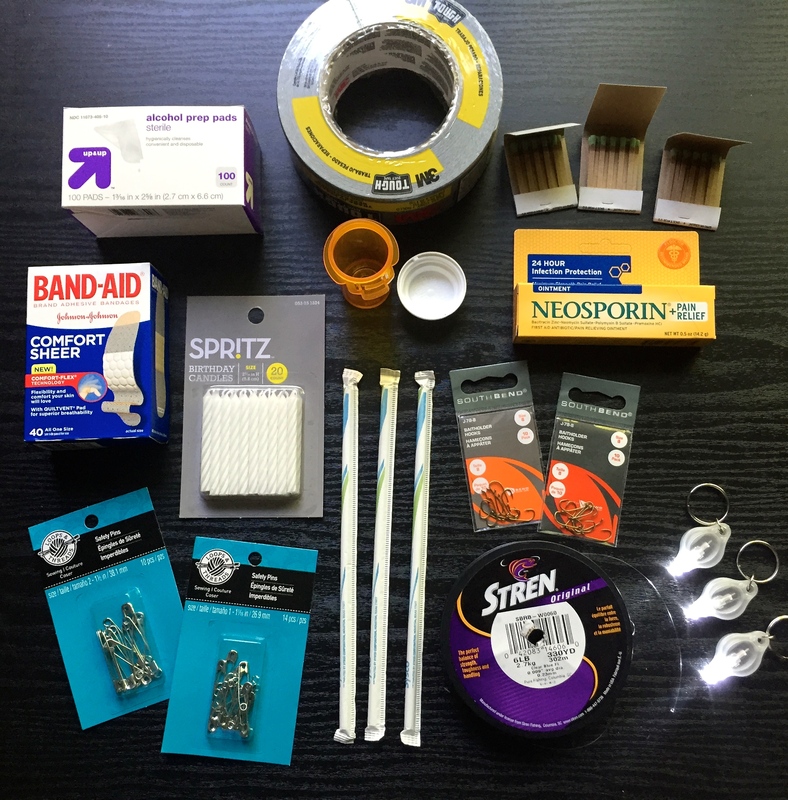 But, since camping season is coming up, I thought why not make a mini survival kit. I mean, it’s better to be safe than sorry when you get lost in the woods. I google a couple ideas on what to store in these pill bottles and I think I did a pretty good job of putting together a solid survival kit. 1. Mini straw fire starters: You can DIY these little guys to help you start the strongest of flames. 2. Match striker strip: Removing the strip from the box and gluing it to the bottle cover cuts down on wasted space. 3. Matches: Start a fire for warmth, to melt ice, or to send a signal. 4. Duct tape: There is virtually nothing a little duct tape can’t fix. 5. Neosporin in a straw: Fight infection from scrapes and cuts. 6. Fishing line: Fish for sustenance, or use it as a heavy-duty string. 7. Fishing hook: You don’t need to catch the fish with your hands. 8. 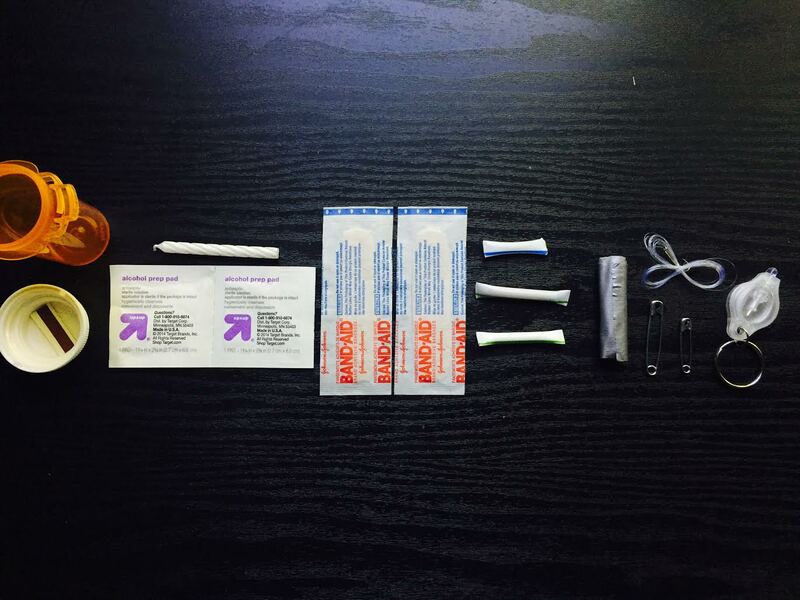 Band-Aids: Keep small injuries covered to ward off potential infection. 9. Safety pins: Fix clothing, attach two items together, or use one as a makeshift fishing hook. 10. Alcohol swabs: Clean yourself up, or reignite a dwindling flame. 11. Birthday candle: Use for light after dark, or melt the wax over a flame to increase its size and strength. So proud of you… XOXO!